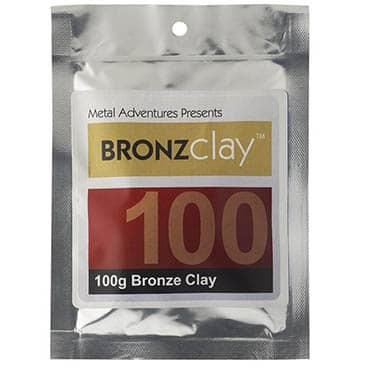 BronzClay 100 grams - Just as precious metal PMC does, new base-metal clay, BronzClay provides a incredible artistic range. And, because it is bronze, it is also so economical that you can use it for large pieces--even sculptures--very affordably! is a Mezuzah made of BronzClay and hand polished with fine polishing pads. it was fired in Coconut Charcoal at 500F per hour to 1550F and held for 3 hours. Shrinkage was around 30% !